After years of letting the players express themselves as individually as possible, the Pittsburgh Steelers are reaping the cons of that culture. As the clock ticked down on Sunday afternoon, the Pittsburgh Steelers could only watch anxiously as their season lay in the hands of the Cleveland Browns. The Steelers had stumbled from a 7-2-1 record to a 8-6-1 record when the final day of the season arrived. They needed to win against the Cincinnati Bengals and hope that the Browns could topple the Baltimore Ravens in order to keep their playoff dreams alive. 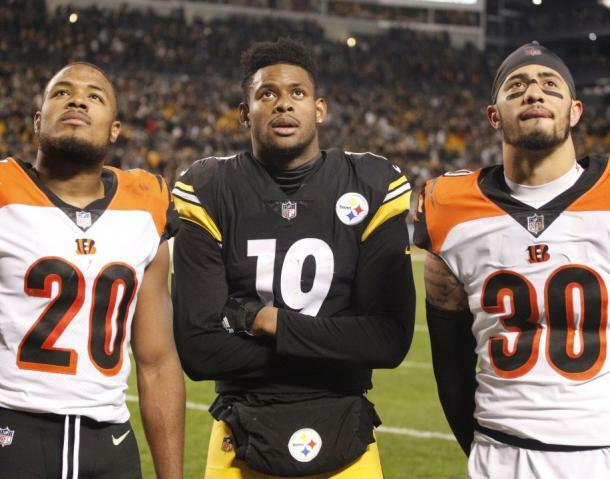 The Steelers did their bit, beating the Bengals 16-13, and had to watch on big screens inside the locker room and on the field as the other two AFC North teams went at it. In the end, the Browns capitulated late in the game and the Ravens progressed to the playoffs, leaving the Steelers despairing at what could have been. Then came the finger pointing. The Steelers are probably one of the most talented teams in the National Football League in all but one of their phases and a team with that kind of roster should not be on the outside looking in. Instead, players have started to speak out publicly about all sorts of issues and it seems as though the culture that head coach Mike Tomlin installed seasons ago, has now come back to haunt the Steelers. 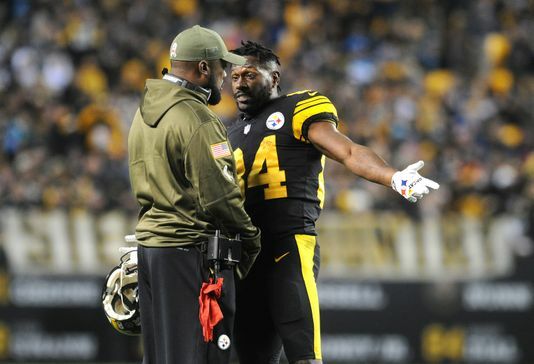 For as long as Mike Tomlin has been the head coach of the Steelers, especially over the last five to six years, he has allowed his players to repeatedly come back from on field and off field issues. 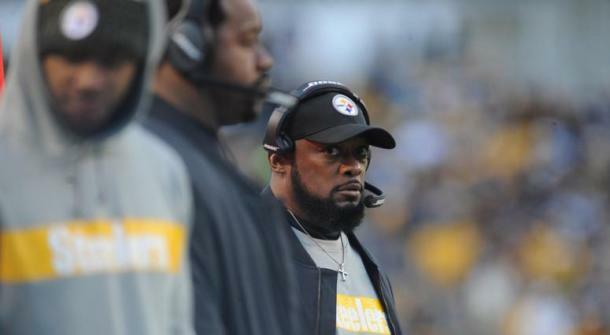 Tomlin has always felt that the players should be allowed to be their own individuals as it would help the team flourish and in the past, those players' abilities have been able to hide just how little 'team' is involved when it comes to the Pittsburgh Steelers. It has bred a culture of entitlement and has allowed players to feel that their individual statistics are more important than wins. The Steelers have moved on from problematic players in the past but only after three or more offenses and moreso when they had found a capable replacement within their ranks. Those players have gone on to other teams and not been as prolific as they had been at the Steelers but, the culture of the individual has never left the Steelers with those players. 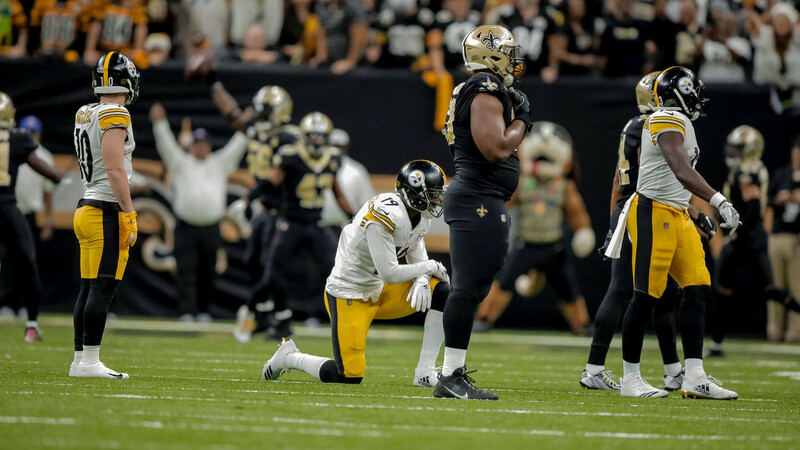 This season has seen a culmination of that culture in the worst possible ways as the Le'Veon Bell situation reached a head, the players openly went against a teammate over a salary issue (which is unheard of in the NFL), and after a strong showing in the middle of the season, a downward spiral to nothing at the end of it. The Steelers have on field issues that they need to address but those can be easily resolved. What will truly determine where the organization goes from now is how they handle such a structural problem within the locker room and if they believe that Tomlin is the man to fix the damage that he perpetuated. The Steelers organization will have to have a long think over the offseason over their franchise quarterback, Ben Roethlisberger. Once the veteran leadership of the likes of Troy Polamalu, Hines Ward, Heath Miller, Brett Keisel etc retired from the game, the Steelers had a leadership void. Most expected Ben Roethlisberger to seamlessly fill that void but hindsight now shows that this may not have been the best course of action. Roethlisberger followed the 2009 Super Bowl winning season with two sexual assault allegations and was suspended by the league for six games in 2010 due to those allegations. 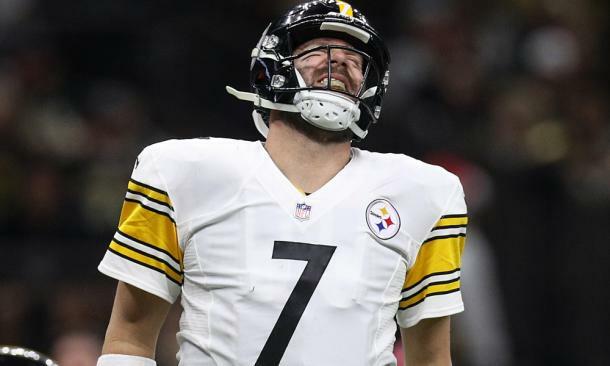 The Steelers decided to back their franchise quarterback which now seems to have given Roethlisberger the freedom to behave in ways most would consider not conducive to a team sport. Roethlisberger is the franchise, make no mistake about it, but with the power that he has within the organization, he has felt that he can point fingers at all of his teammates for any losses the Steelers incur without any repercussions. The veteran quarterback has been just as culpable for the slide the Steelers had in the latter part of the season as anyone else due to his play but he has blamed everyone from his star wide receiver Antonio Brown, to the now departed Le'Veon Bell, and in a season that needed less "blame games" and more responsibility, Roesthlisberger proved he could not be the leader that the Steelers need in a crisis. This brings us to the now potentially explosive issue of Antonio Brown. In one of the biggest weeks the Steelers have faced, Brown walked out of training and did not return until game day, expecting to play against the Bengals. Tomlin benched Brown and the receiver decided to leave the stadium at half time. After that, Brown has gone on to openly courting the San Francisco 49ers and reports have stated that Brown wants to be traded (although no official request has been handed in). The culture at the Steelers has seemingly shown Brown that he can act out in any shape or form and still get what he wants without being called to task. This season alone, Brown brought bad publicity to the Steelers when he was caught speeding in Pittsburgh and then later on in the season, could have seriously harmed people when he decided to through furniture out of a high rise building. On top of that, any time Brown has felt that he was not getting the ball often enough, he would lash out on the sidelines without a care for who was watching. Throughout all of this, Tomlin and the Steelers stood by Brown and allowed him to keep playing. Brown then repaid that by now looking to cause as much trouble as possible so the Steelers will have no choice but to trade him. In this situation, the Steelers do have the cap maneuverability to trade Brown but with the numbers that he produces, many are wary of letting such a talented player go. However, if the Steelers want to change the way things have gone for them over the past few seasons, Brown and a few others may have to leave in order for the Steelers to be about the team instead of the individual. With everything that has happened this season, the Steelers are actually not in dire straights. They truly do have a talented roster in all but the secondary position and with the right mentality, they can become a force in the NFL again. 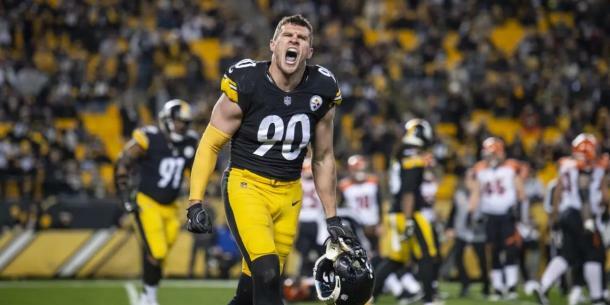 Their 2017 draft class exemplifies this as T.J. Watt, Juju Smith-Schuster and James Conner have shown that they could be productive players in the NFL. Defensively, the Steelers have a solid front seven but it's in the secondary that they need to push most of their efforts. Defensive coordinator Keith Butler has got to go though. His choices throughout the season most notably in the games against the San Diego Chargers and the Denver Broncos have shown that he is not the right man for the job at Pittsburgh. Chris Boswell signed a big contract at the start of the season and then proceeded to have the same kicking ability as someone who just stepped onto the practice squad. The kicking position may need reworking if Boswell does not show vast improvement in the offseason. Offensively, even if Brown goes, the Steelers are talented enough to make another push for the playoffs. Their offensive line is probably on of the best around and apart from Smith-Schuster and Conner, the Steelers do have viable receiver and runningback options in James Washington and Jaylen Samuels. All it would take is a change in culture and a change in mentality. Under Tomlin, the Steelers have always played down to their opponent which has cost them dearly especially this season so if the front office agrees to continue on with Tomlin, that must change. If not, a new head coach has all the tools at his disposal to make the Steelers a solid playoff team again and with the right additions in the secondary, potentially a Super Bowl winning team.